Ever heard of the word “VPS”? If you have, then you are certainly not new to web technology and I am guessing you are a tech savvy. However, if you haven’t come across the word before, then I assume you are a newbie and I can assure you that this is a good place to start. If you are planning to set up a new site and wondering which server will suit your needs, then you should continue reading. Generally there are two major types of server with huge disparities in the web hosting industry; dedicated servers and shared servers. The former is meant for a single user and offer more control, flexibility, stability and security but is usually very expensive, while the latter is used to host more than one user who share the resources of the server and thus comes with a lot of limitations but is usually very cheap and is usually recommended for personal websites. VPS (virtual private server) is considered as an embodiment of both types of server and has been identified as a good hosting solution for many businesses. A virtual private server is similar to the kind of server that is used locally by web hosting providers except that it has a different location. A single server is divided into many virtual machines which are used to host different sites independently. Thus when you host your website on a particular virtual machine among the separated VMs, the site will be insulated from other websites on other VMs on the same server and this is how it exists independently. VPS hosting is similar to dedicated hosting in the sense that your site is isolated and exist independently from other the websites that are hosted on the same server while it is similar to shared hosting in the sense that you will still be sharing the same server with other websites. Thus we can refer to VPS hosting as being on the borderline between shared hosting and dedicated hosting. A VPS server is ideal for webmasters that are looking for better performance and security of their sites than what is offered by a shared hosting service. It is preferable to high end dedicated servers which are often too expensive for many businesses especially start-ups. Thus we recommend using a VPS server if your business is anywhere near small to medium organizations. You will enjoy an exclusive service using VPS hosting. Google’s search algorithm is changing constantly, creating it a moving plan. Google’s Gary Illyes said that minimum two to three updates of search algorithm every day. So, it is important to know all the updates which are related to SEO. Today, there are mostly 100 billion Google searches achieved each month. It relates to over that 1.2 trillion searches yearly. Search Engine Optimization (SEO) is one of the major marketing vehicles available.Here you know the top 7 major trends to achieve greater SEO results in 2018. If you are an entrepreneur, you must to stay updated with the latest SEO trends. As an SEO professional or running an Hosting Company. Using an old SEO techniques can extremely affect the name of your website in the search engine ranking page of Google and other search engines like Yahoo and Bing. Today, there are many technologies are in the internet world. If you are using the old techniques that are not getting the expected traffic. So, it is important to stay updated with the latest trends. Voice search is the important one in the way of searching all the information. Today, most of the mobile users use voice search commands. Now there are 20% of mobile queries are reported through voice search. It will increase in the next year. Some users don’t like to type and lazy, so they are likely to go with the voice search. The voice search helps that, you don’t need to type anything, just use your voice to search anything in the mobile. The principal engineer, Mr. Behshad Behzadi at Google says, that the voice search is increasing faster than type search. Google RankBrain established in 2015, it has increased the reliability of Google’s search results. The Mr. Greg Corrado shaped that RankBrain is the third important signal presenting to the search result. The Rankbrains increasing effect is that involvement in metrics are going to be a huge factor in search rankings. It means that SEO is the backbone of this method. There are more than 600,000 search query points to bounce rate, pages per session, spending time on the site, these are the four important elements for organic search rankings. It is analyzed by the SEMrush’s 2017 ranking factors study 2.0. In the past, your SEO works may have been focused on topics and keywords. It is only increasing your SERP, CTR and your overall customer experience, which comes through your organic listings. Structure data is the additional information that you see next to a website and meta description. For example, if you are searching for a Mobile shop, you will see not only the shop name, it shows the hours, your reviews, pricing to specify positive reviews. If you are not part of structured data with your SEO strategy, you are missing out an essential opportunity to rank higher in SERP. So, you can add structured data to your pages helps that user to know what your site is about. One more useful strategies which are also useful for your web pages like schema.org. It also helps to rank your website easily. So, structured data and schema both are important and will help your rankings. HTTPS (Hyper Text Transfer Protocol Secure) is the secure version of HTTP. The HTTPS protects your online confidential transactions like online shopping, online banking, etc., In 2017, Moz’s Dr. Pete said that 50% of search results are HTTPS one organic results. So, HTTPS is important for your website and it has also improved your SEO performance. The SEMRush’s company mentions that 65% of website ranking comes with an high volume keywords were using HTTPS. If your website having HTTP, now it is the time to change your website into HTTPS. Today, most of the people use a smartphone and a tablet for their internet users, so does the importance of mobile-friendly websites. It is important for having a mobile-friendly website with SEO. Since 70% of users claim that they are more likely to purchase from a mobile-friendly website. The SEO companies are also said that they are changing their website into mobile friendly and responsive web design. According to Google, 50% of its searches, receive from mobile devices. So, websites which are responsive are more essential to SEO than ever. Google also provides some tools to help webmasters to check their website into mobile-friendly. The most popular tool that allows you to test your website is Google’s Mobile Friendly Test Page. The responsive website helps the user to access many devices and screen sizes. For Example, if someone searches for “Paper Manufacturing Companies”, they find their results of what they are looking for in their mobile. If the same person can search their keyword in their desktop, the result may be varied and they get frustrated. So, having a separate mobile site and desktop needs separate SEO campaigns. So, handling one website and one campaign is far easier than organizing two SEO campaigns and two sites. Optimizing your keywords into mobile responsive which are more likely to be searched when someone is on their mobile phones. If a website is loading too slowly are major irritations for users and it also impediment to your site rankings in Google’s results. A website can load too slowly for various reasons differing from bad optimization to poor quality web hosting. The important thing is your website is to load slowly, you have to lose your potential customers. For better search engine ranking, page speed is important for your user experience. The website that load faster makes a better user experience. It creates more leads to increased conversions. If your website has some advertising with faster load means, the users can simply navigate to various pages. It also makes the user to view some other pages. Today, there is no one has time to read boring content, length and non-meaningful content. Others focus on web pages that have short and interesting articles. So, you can create more useful contents for users. The leading SEO companies analysts in Coimbatore also said that content is still important for your SEO rankings. · ✔Content marketing is narrower and more holistic. 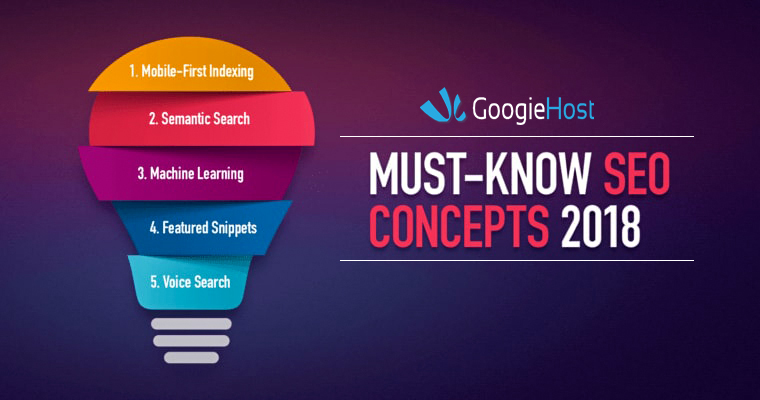 · ✔Do keyword research: First, you have to choose a complete list of the right keywords and key phrases you are going to use. These must be the search terms your target customers and clients are most likely to use when trying to find you or your service or your business or your product. · ✔ Start writing high-quality content: Write quality content for your prospective clients and customers, not for your SEO purposes. The content should be useful for clients. · ✔Incorporate your keywords: First, you have to keep in your mind that, your content is going to convert well. Please don’t overuse your keywords in your contents. So, if you don’t use keywords in your content use LSI keywords. · ✔Promote your content: Promote your content is making sure that your target audience is to find your content in various social networking channels and social media. It is an important element in SEO. If you fail to do that and leave all of your stuff laying all over the place, they will not be able to picture such a situation. They will be still visiting your dream property house plots, not a potentially their house. 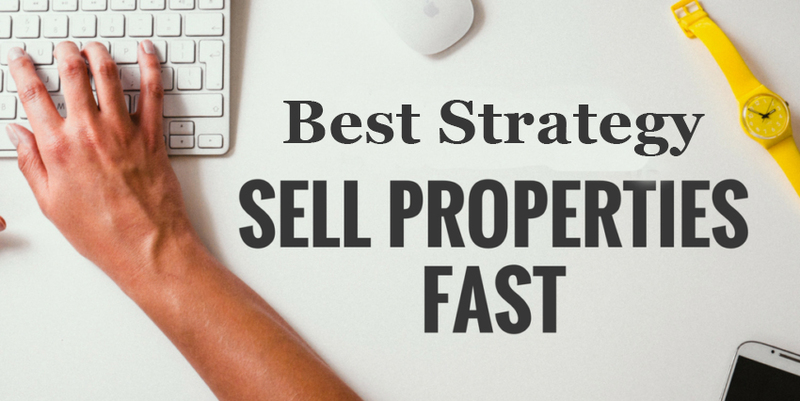 I'll share here the best strategy for selling your property fast and at best possible price. See the difference? So, everything has to go – your clothes, personal decoration, family photographs and what not. We want a clean, fresh house, with only one aspect of it visible and underlined – the interior design. 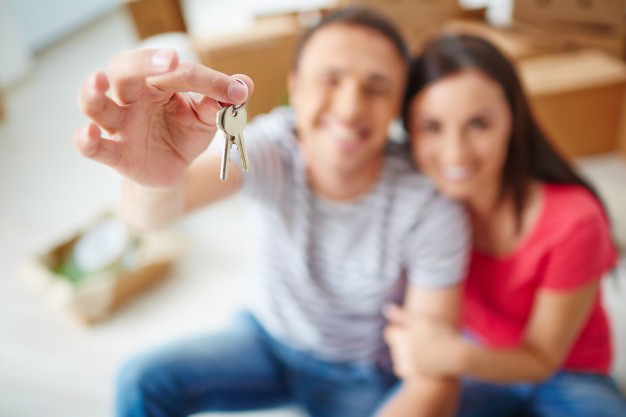 Before you can welcome any prospective buyers in your house, they will have spent a lot of time looking through all the offers available on the market – and that means photographs of the houses which have been listed. it’s when your potential buyers see your house for the very first time and decide whether or not is it even worthy of the actual visit. Don’t take this matter lightly, it’s crucial that you do your best to make your house as stylish as it could ever be in the photos that will be delivered to the potential customers. Not only will the photos advertise your house better, but also if more people get interested in your real estate, the traffic will affect the price – when the word gets out that a stylish and well-designed house entered the market, the value of your house will sky-rocket, because when there are more potential buyers, you can always expect them to offer more money to win with their competitors. It’s not only the price that will be affected by such advertisement, but also the time it will take to sell the house – obviously, with more people interested in your house, we can expect it sell faster, and since time is money, I’m quite sure you’d like to sell it as fast as possible. Because of all that, make sure that the interior design of your house is presented in the most engaging way possible – focus on the athletic points of your house, and try to show it in the best of light. Tip: if you can’t call yourself a very good interior photographer, I strongly advise that you hire a professional one, preferably one which has some experience with making this kind of photos. But what if the interior design of my house is lacking? That’s an Honest question all the talk about exposing the powerful points of your house in the photographs, but what about the parts of it which area is not all that good, whether it is because they’ve been rather poor, to begin with, or because they are showing the signs of age? While nobody wants to spend money into remodeling or invigorating a house just Only before selling it, after all, you are trying to get money out of it, not put some in it sometimes it’s the best thing to do. Some houses, or at least certain areas of them, require a bit of work to be done before you can try to sell the house for the best possible price. It’s important that you understand that some areas of your house have a better resale value than others – because of that, you should focus on fixing all the areas which give you the best bang-for-your-buck, like repainting the walls. Wow! New Year celebration is ongoing and Wish you Everyone Very Happy New Year 2018! All You Need To Know About Local SEO Have you ever been stuck with a problem at home, a clogged drain for example….ugh, what a burden..right? If you're like most people your natural reflexes take you to Google or your search engine of choice to conduct a search for help or fixes. Let's say you don't want to handle this anymore and you search "Toronto drain repair", Google in its infinite awesomeness shows you all the drain plumbing and repair services closest to you in its 3 pack section and in the organic results. As a local business owner, this is where you want to be; right in the consumer neighborhood search engine result. Not just in it but you want to be at the top where are actually seen and considered. By being there, you are going to acquire even more clients from the massive amount of online customers who google search their shopping and service tasks every day. You could catch customers as they are out as well as about, frustrated, highly impulsive and most ready to acquire you and your service offerings. Wondering just how you can get more involved in your Google search and SEO efforts so you can grab those coveted local search result places? You're not the only one. 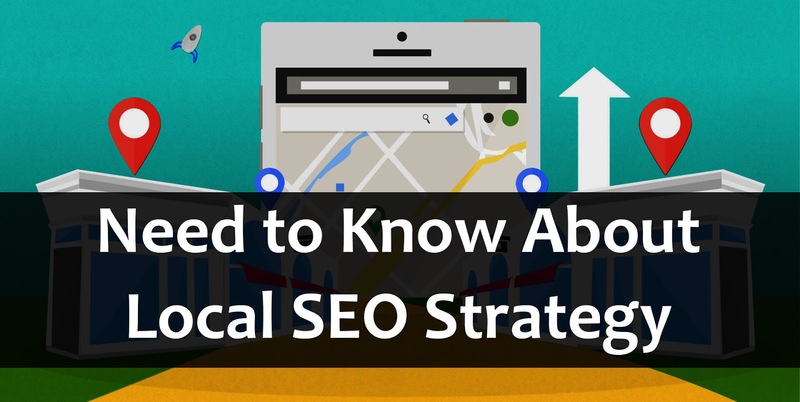 In fact, at Youstable we look at exactly what occurred to local Search Engine Optimization in 2018, as well as in the past and are passing on the workable pointers on how to boost your neighborhood Search Engine Optimization going forward. This could change your business significantly if prudently followed. It's no surprise that Google is constantly attempting to boost the top quality of their search results page in order to keep their unimaginable legion of visitors/users returning and searching religiously. Regionalizing search results is a way to give users the best results that will actually help them in real time, this is why location-based search rankings have been focused on for a time now. In the start, local SEO was packed into 7 local business rankings, however, about a year and a bit ago, getting noted in the neighborhood search results page has actually become a lot harder as a result of Google lowering the number of neighborhood search outcomes listings from 7 to 3. So for every neighborhood/ location targeted inquiry made by you as a searcher, you will only be exposed to 3 regional businesses. This indicates cut-throat competition in most local niches. Think about this as a local plumber, restaurant owner, home contractor, beauty parlor or local business. There is a high likelihood that there are 10s if not 100s of people providing similar services in the same neighborhood, city, suburb, location etc. The next point to note is the relationship in between Search Engine Optimization and also mobile. Last year and this year have revealed to us that you need to go mobile to your site or prepare to die. NO JOKE. Take into consideration the fact that customers trying to find local businesses are normally on-the-go and also utilizing their mobile phones. It is also worth keeping in mind that simply a number of years earlier, there weren't lots of regional businesses making the most of Google My Organisation (GMB). However, 2016 and 2017 saw more companies optimizing for regional search and also utilizing regional SEO as one of their main advertising methods. This has raised the quantity of competition for those couple of areas. So just how are regional searched results placed anyway? That is a very savvy business question! HOW ARE REGIONAL OUTCOMES PLACED? -Standard site signals will continue to make significant shifts and have an effect on the GMB position of a business's site. Keyword use, as well as content word size, still prove to be noticeable factors. Making use of key phrases and also lengthening the web content brings about a much better ranking. -Our research study additionally shows that if a service's internet site has a high ranking when it pertains to organic search, then it is extremely likely that it will certainly rate well in 3-pack Search Engine Optimization also. This is not a certain piece but there were noticeable correlations. -The money is the SOCIAL PROOF. Companies that have lots of great customer evaluations and a flow of regular reviews get placed higher, so that means you should urge past and present clients to upload testimonials. Furthermore, this is huge for conversions. I shouldn't even have to explain this but just think about it, if you see two businesses, one with gleaming reviews and one with none. Your instincts are going to push you towards the reputable business. -In addition to customer evaluations, various other traditional website signals such as posting photos of business and having an owner-verified profile provide your business a noticeable edge over your rivals for online website rankings and ultimately targeted traffic. WAYS TO BOOST YOUR LOCAL Search Engine Optimization Efforts. By Now, you know Local SEO is an efficient method to market your company online. It aids local companies like yours when you try and advertise your products and services to targeted regional consumers at the exact times they're seeking a neighborhood service. This is the holy grail for local business owners. Go through this list and cross everything off of as after you have implemented the advice offered in each section of this list. This will help your efforts in ways you would not even be able to comprehend. Install Google Analytics. Vital to measure essential SEO metrics like site traffic, conversions, and earnings. Usage of Ahrefs to determine keyword position and link structure is vital (other valid choices: open site explorer, MajesticSEO, Semrush). This helps you track if your efforts are working, how much things are working, help boost conversions and help ensure local SEO is actually making you any money. No snake oil stuff here, just pure quantitative proofs for your work. 2) Using WordPress? Yea. Simple hack, but it helps tremendously. Download the Yoast Search Engine Optimization Plugin. It will certainly make your life 10x much easier. Utilize it to finish many of the Technical as well as On-Page Search Engine Optimization finest practices in one place. 3) Confirm Your Website in Google Browse Console. This totally free tool permits you to inspect exactly how the search engines crawlers crawl, examine and watch your site with records regarding indexing status, search queries, creep mistakes and also penalties. This is overlooked by 90 percent of business owners and even season SEO "consultants". Kill them with simplicity, my friends. 4) Improve Website Performance & Rate. Examine your site with Google PageSpeed Insights. The purpose is to always score 90+. No weak sauce stuff here, always try to aim for Pluto so you land in the sky. A Score of 70+ is okay but you can do better with the totally free WordPress Plugins: WP Smush and W3 Total Cache as well as much more. 5) Take the Google Mobile-Friendly Test. Your site should deliver a wonderful individual experience across all gadgets. Additional essential technical checkpoint now that Google's algorithm favors mobile pleasant websites. In conclusion, Having an efficient Local SEO method/plan will certainly help your service pull in even more clients. It can be hard and overwhelming for most people because it requires a great deal of effort to be on top of all its moving parts. If you need help, you can work with a trusted and also credible SEO company In Lucknow, We are experts in optimizing for local. By doing so, you can reinforce your regional web existence and create more income for your organization. Incorporate these pointers into your marketing method and you will certainly have the ability to finish 2017 on the best path. I think the article is too long so I want to full stop on this article but I'll continue this topic in our next post means part. So please If you don't understand anything related to local SEO please Do comment in the comment box and ask your query doubts!